This class is for the person who wants intensive, individualized instruction. We will teach beginners who are learning to spey cast for the first time or intermediate casters who need help with certain casts and techniques. The maximum class size is 2 and dates are scheduled on an as needed basis. 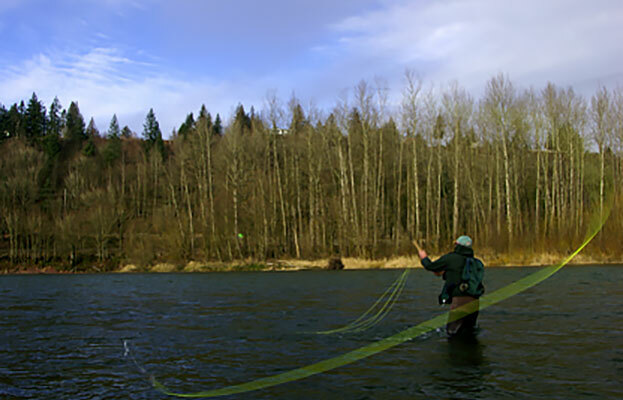 If you are looking to learn to spey cast, learn new casts or develop skills that seem to be eluding you, this is the class to take. Equipment can be provided if necessary. If you are looking to cast a certain rod, we will have several demo rods from different manufacturers (Sage, CF Burkheimer, Winston, Scott and Echo) to try throughout the class.